After what seems like an eternity, Capcom finally announced that Monster Hunter World would be coming to PC on August 9th. Since then, we’ve learned a lot about the game, including its specifications and pricing. Producer Ryozo Tsujimoto confirmed a bevy of other details with PC Gamer, including the quality of visuals compared to the PS4 and Xbox One. When asked if any visual improvements or changes had been made, Tsujimoto said that the PC version will have “parity” with the console releases. “When the game launches, the visuals will have parity with the console versions, but we’re considering releasing a free update after launch,” he said. This seems to indicate that it will look as good as the console releases, albeit with 4K resolution and 60 FPS support. Interestingly, according to Tsujimoto there’s nothing to announce with regards to modding at this time. Interestingly, when asked if there were any expansions planned, Tsujimoto replied that “We don’t have any plans at the moment.” Any rumours of major expansions adding new areas can be quashed for now it seems. 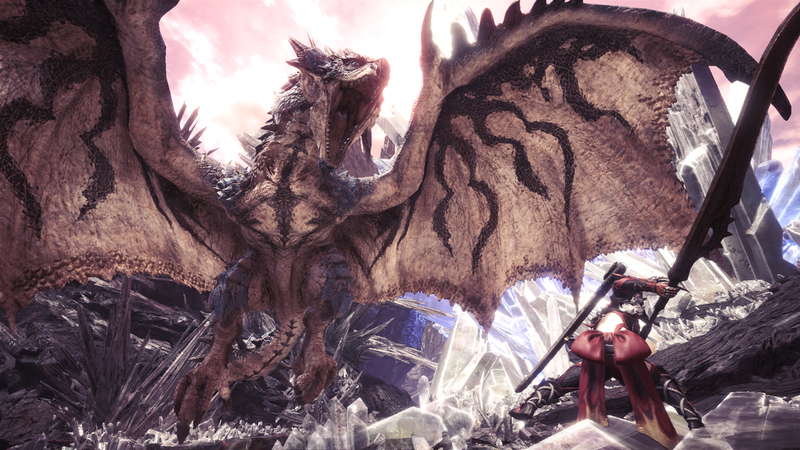 In the same interview, Tsujimoto also confirmed that Lunastra and Deviljho would be available after the PC version’s launch. They’ll arrive sooner on PC than they did on console versions, though, so don’t fret. Furthermore, Capcom will do its best to synch up future updates, but platform differences might prevent that from happening.